Please get your Holy Bible out, dust it off, and follow carefully what I am about to share with you. Consider carefully, that waters were in existence before Almighty God said, “Let there be light” in verse 3. In the past, we have been taught, that the first day of creation involved Almighty God saying, “Let there be light”; however, notice again carefully, that water existed before that. In Genesis 1:2, the Holy Spirit is moving upon the face of the waters and there is darkness upon the face of the deep. The word “deep” here also has to do with water. So I will state again: before that first day in Genesis 1:3, water existed that had been created -from another age-. That water was there and was covered with darkness. The Holy Bible does not tell us how old that water was, only that the heavens and the earth were created in the beginning. In Genesis 1:3, the Almighty said “Let there be light”, and this is not the first time that light existed, because we know that Almighty God IS light. Read it in First John 1:5. The Creator existed before the “creation”. The Creator IS light, so when the Almighty said “Let there be light”, He was not creating light. Apparently He was saying for light to penetrate the darkness that was upon the face of the deep in Genesis 1:2. Also, I want you to notice in Job 38:1-8, that the angels were present when Almighty God laid the foundations of the earth. In this passage Almighty God tells us, that the angels sang and shouted for joy when He laid earth’s cornerstone and apparently placed it into a secure orbit. From this Holy Bible information, it seems that Almighty God created the angels before He created the earth and certainly before He said “Let there be light” in Genesis 1:3. So apparently we have water and angels in existence when Almighty God said, “Let there be light.” It seems obvious then, that Genesis 1:1 is a completely different era/age from Genesis 1:3 and after. I submit to you, that Genesis 1:3 and beyond are a recreating of the earth. This seems to be very Biblical in light of Genesis 1:1 through Genesis 1:2. Verse one tells us that the heavens and the earth were created in the beginning. Verse two tells us that the earth was “without form-the Hebrew word tohu, which means to lie waste” and “void-the Hebrew word bohu, which means an indistinguishable ruin.” Apparently the earth lay in waste after being ruined. This is not a far-fetched evolutionary idea. I hate evolution. Any unbiased mind should know, that nothing comes into being without intellect. The intellect behind heaven and earth is of course Almighty God. The Creation speaks volumes to every single human being of this Divine intellect everywhere you turn. The Holy Bible speaks of “War in heaven” Revelation 12:7-9 and verse 4. The archangel Michael, and his angels, threw Lucifer out of heaven. It was an unspeakable cosmic battle, that apparently did damage to the universe and left earth in an indistinguishable ruin. Ezekiel 28:12-17 reveals to us, that Lucifer was a splendid creature created by Almighty God before he sinned. 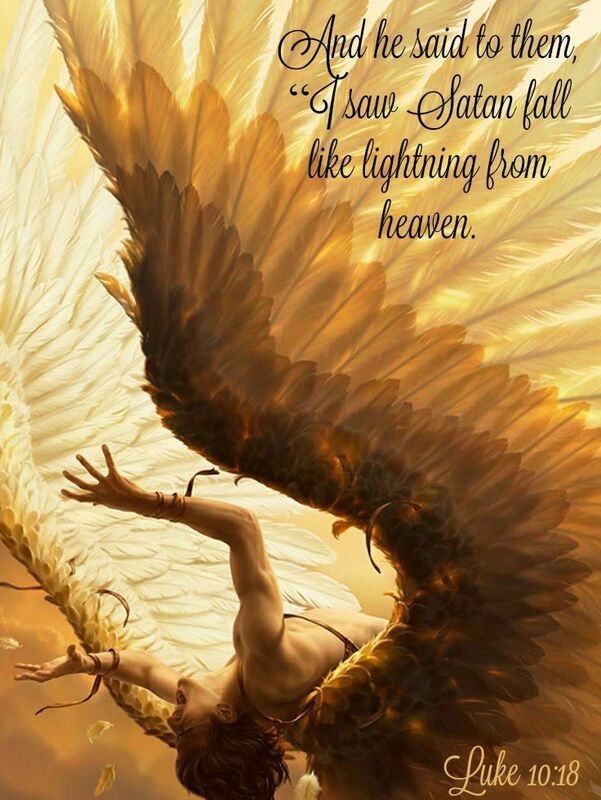 Isaiah 14:12-20 speaks of Lucifer’s rebellion. This brings us back to Genesis 1:2. After the earth was created in Genesis 1:1, it apparently became an indistinguishable ruin in Genesis 1:2. Apparently it lay in ruins under the face of the deep waters, that were apparently covered over by a thick covering through which light did not penetrate. Perhaps it was an extremely thick covering of clouds. Apparently when the Almighty said “Let there be light” in Genesis 1:3-5; He caused light to penetrate once again through it all onto planet earth on the first day of recreating/repairing. Apparently on day two, the Almighty divided up these waters Genesis 1:6-8. Apparently on day three in Genesis 1:9-13, Almighty God once again caused there to be dry land on the planet. Without knowing all the details; all we can do is try to piece together what happened with the bits and pieces of information, that the Almighty has strewn throughout the Holy Bible. The Holy Bible does reveal, that water was present before He said “Let there be light” and that the angels sang together and shouted for joy, when He laid the foundations of the earth. How unfathomable is the wisdom and knowledge of our great and mighty Creator YaHVeH! Filed under Water And Angels Existed Before God Said "Let There Be Light"